I'm showing you the second of three posts for KBShimmer's Winter Collection. There are 9 beauties in this collection. This first post has the two blues from the collection. 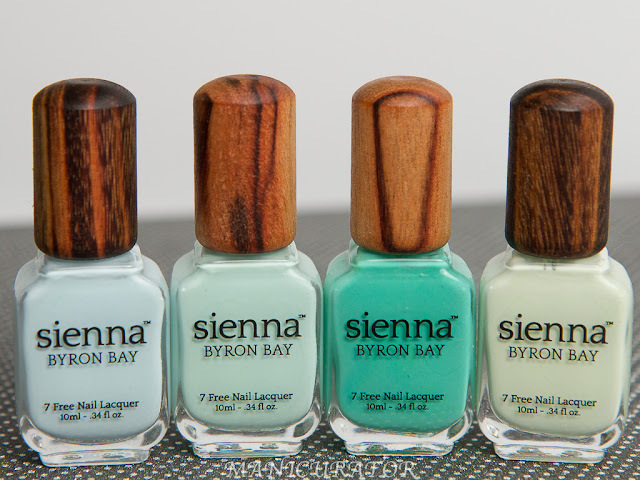 This post will focus on the three top coats. Here's all the links you need to follow and shop!! Some important info before you shop: "Due to price increases with a few of my suppliers, polishes will be $8.75 per bottle starting 11/15. This collection includes a polish for charity, Wrappers Delight that will sell for $10.00. 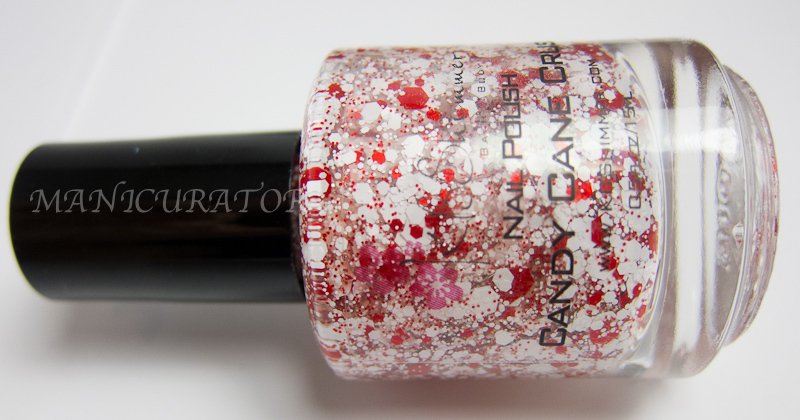 Please note that all polishes in the holiday collection will include a new, flat style brush." 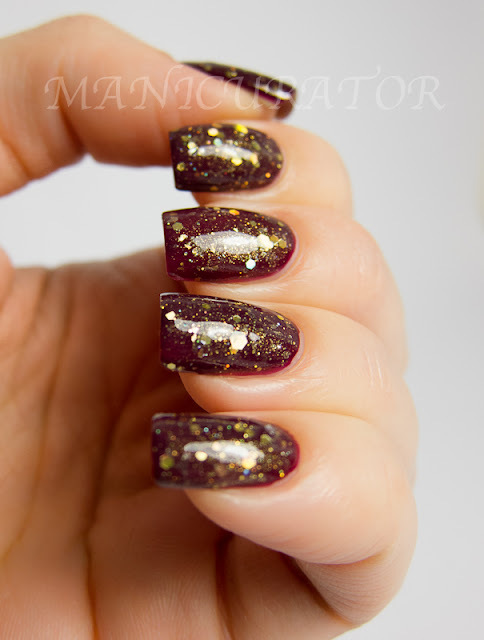 Wrappers Delight - From their description: "Inspired by wrapping paper, rolls of ribbons and tons of tissue that surround gifts, this polish is ideal to layer over your favorite holiday cream. Red, gold and green glitters in a ton of different sizes pack this polish. 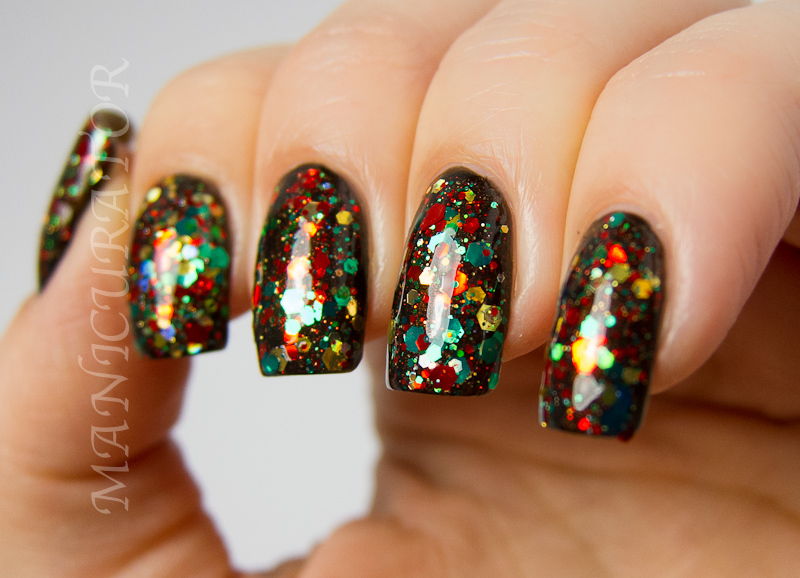 This polish is so jam packed it may appear a bit thick, but the large amount of glitter allows you to use as a top coat or to layer and wear alone. 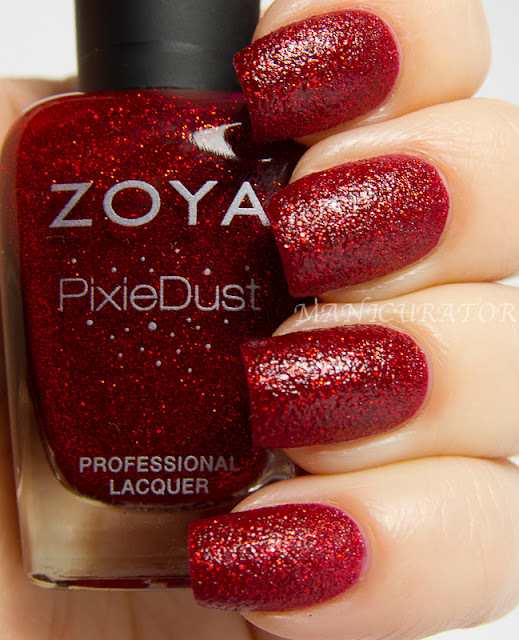 This polish will be sold of $10 a bottle, with $5 from each going towards Toys for Tots. 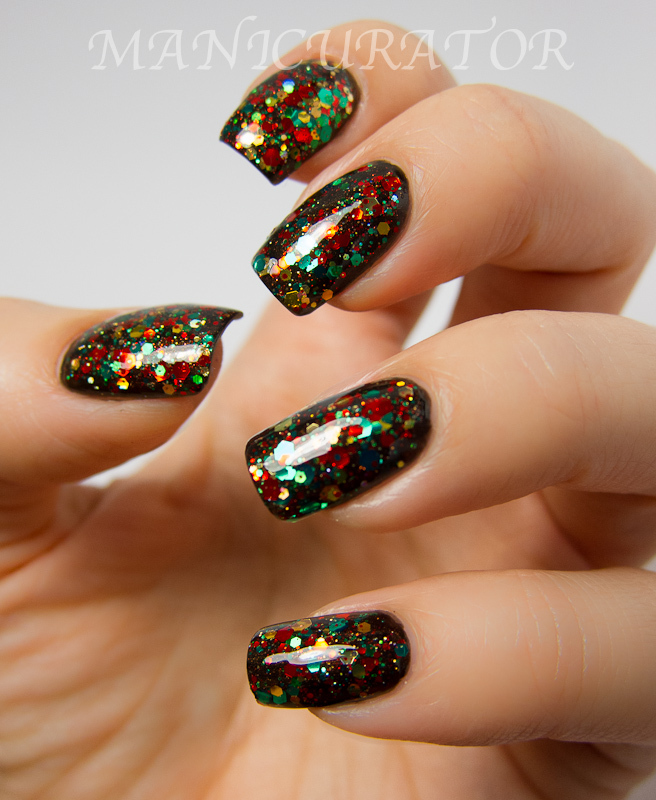 This polish will be on sale from 11/15 - 12/15. Totals will be tallied, posted and toys bought the week of 12/17." Two coats of SpaRitual Howl served as the "undies" for Wrappers Delight. I absolutely agree that this polish is PACKED with glitter. 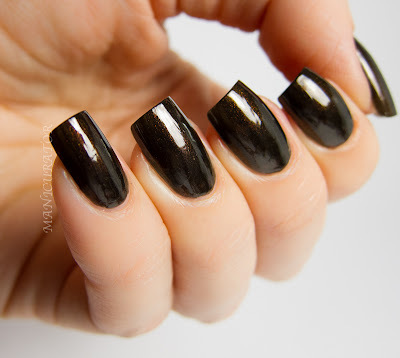 This is only one coat, and seems like it would be opaque at 2 coats. It was incredibly fun to wear and I adore that KBShimmer is giving back, donating to Toys for Tots! Oooooooh We Three Blings, me likey! 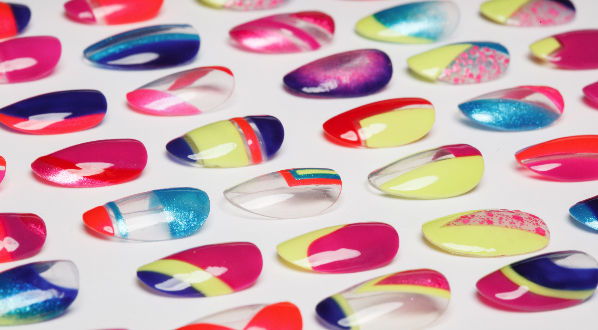 I love wrappers delights, if I had this I'd be staring at my nails all day!! These are so pretty. I just keep wondering how I've never heard of this brand before! 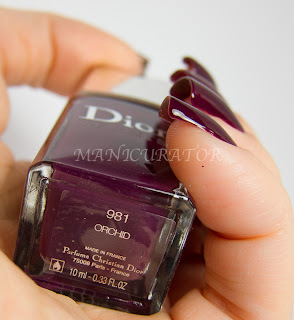 Thanks for the beautiful photos/swatches. Beautiful! I think Wrappers Delight is my favorite. The first one is so holiday appropriate! Lovely! That first one is AMAZING. I love lots of colour! I'm also going to have to find myself a white glitter polish too =P It's just too perfectly snowy! Okay, so now I MUST get Wrapper's Delight, Hex Appeal, AND Snow Way. You're killing my wallet, girl! I am dying over here! These are so adorably perfect! I'm drooling over these pics! God these are all SO GORGEOUS. UGH. 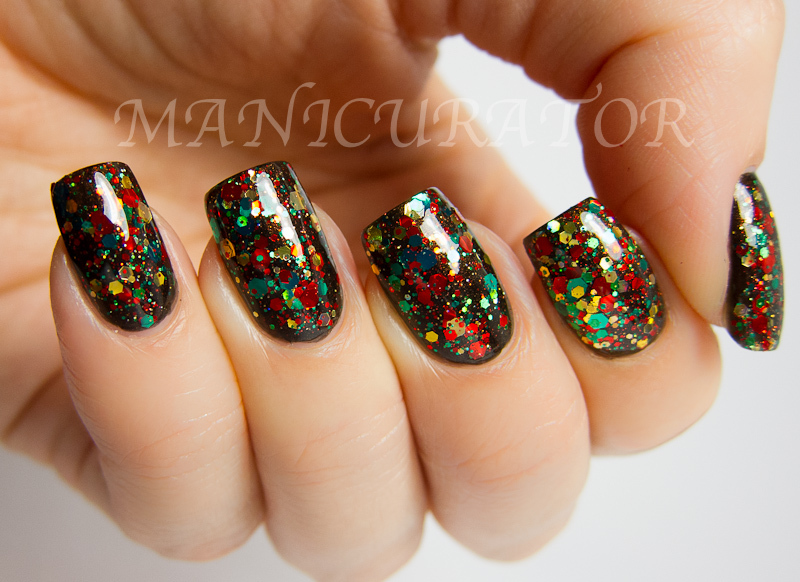 Everyone is doing KBShimmer swatches lately and it is making me want all of them so badly! I've literally never seen a KBShimmer I didn't like. GIMME. Absolutely adorable! Especially this Wrappers Delight. Love it! 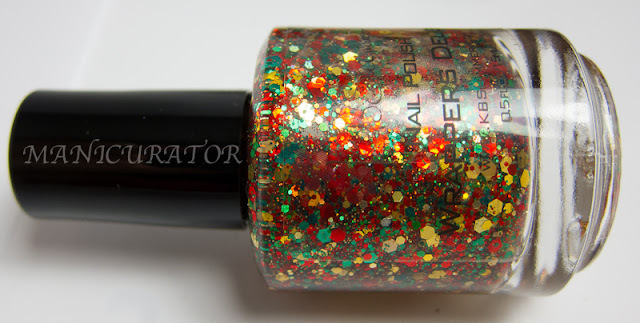 Wonder if I can get my hands on KB Shimmer polishes anywhere since I'm from Finland. Just want them!!! You wear these so beautifully!! 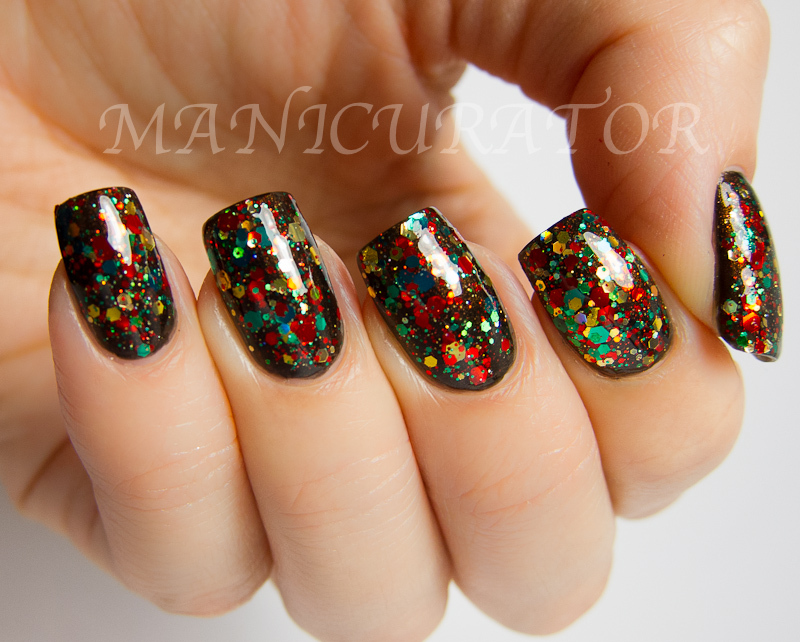 I got most of the KBSHimmer Holiday polishes (I didn't get We Three Blings...What was I thinking!!?) Anyway I wear Wrappers Delight over CH Gl...Cranberry Crush. I get lot's of comments on it. Now I want to try Candy Cane Crush over a gray or silver if I have one in my stash. You just have the prettiest hands and nails. Thank you for all the cool ideas and great swatches and reviews!! Wow, everything looks so great! I want to purchase one of them and likes the most Wrappers Delight/Candy Cane Crush!